I would really love to come to the United States of America. I’m a Fijian and have always been an admirer of your beautiful country. Thanks for stopping by. We hope to one day be able to visit Fiji! do you have images of the Adams’ gator? we are doing an exhibit on JQA and would love to include this? We wish! No paintings of the alligator from that time (certainly no photographs) are known to exist. This is BS. The White House wasn’t built till a while after this. Nope. The White House was built beginning in 1792. JQA served 1825-1829, well after construction began (and four other presidents had already lived there). Steven – You don’t know your history! Construction of he White House began in 1792. John Quincy Adams and his family moved in, before it was finished in 1800. John Quincy Adams served 1825-1829. It was Adams (his father) who was president in 1800. Do we possibly know what the alligator’s name was? No word on a name, sorry. As far as we know, someone just made that name up. 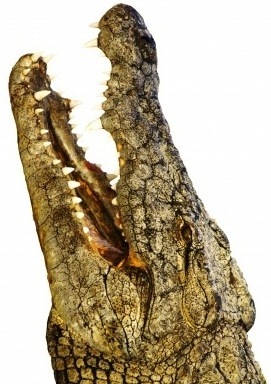 We have no confirmation that the alligator was even given a name. they should have named it Leslie. Any idea how big the alligators were? Not in exact feet or inches, but were big enough, say, to fit in your palm, an aquarium, a bathtube, or a swimming pool? Not sure how big the alligators were, but normally they’re already around 1 foot long when hatched, and they grow pretty steadily from there for several years. Do you know of any primary sources for this story?